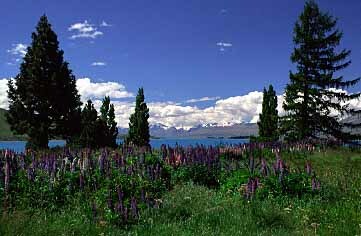 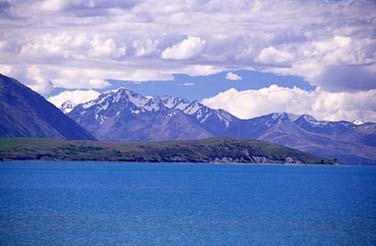 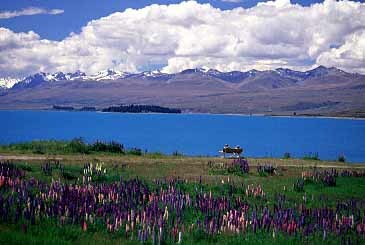 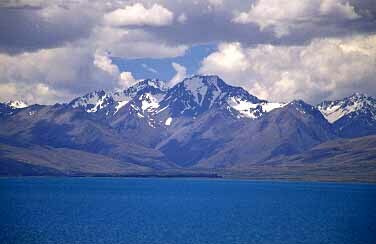 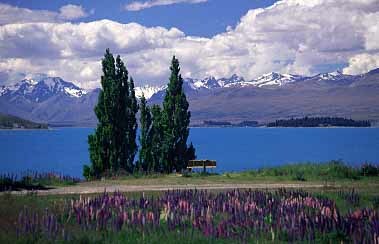 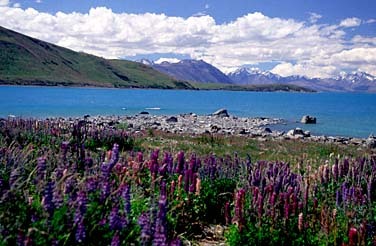 Lake Tekapo is the most beautiful lake in Mackenzie Country - the highlands located east of South Canterbury Plains. 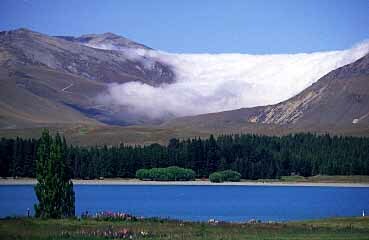 It has remarkable turquoise colour created by "rock flour", finely ground particles of the rock held in suspension in the glacial melt water. 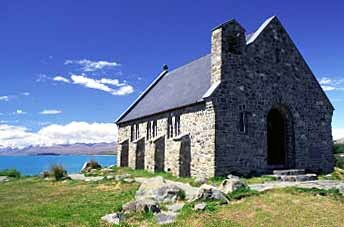 There is a picturesquee small church called The Church of the Good Shepard as well as a monument of a coolie dog on the shore of the lake.